The first DIY post we spotted this month was from Oh So Kel. 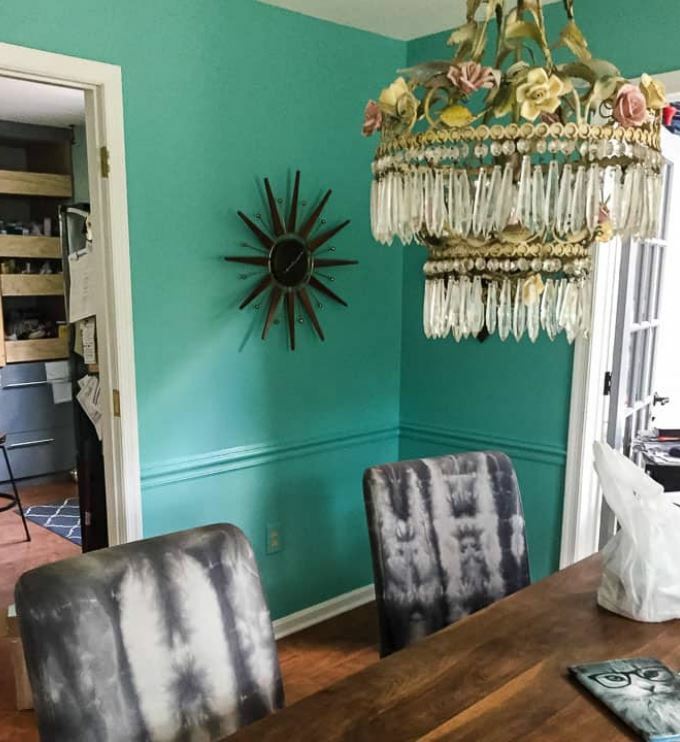 If you’re bored of your plain white tablecloth, why not give it an ombre makeover? 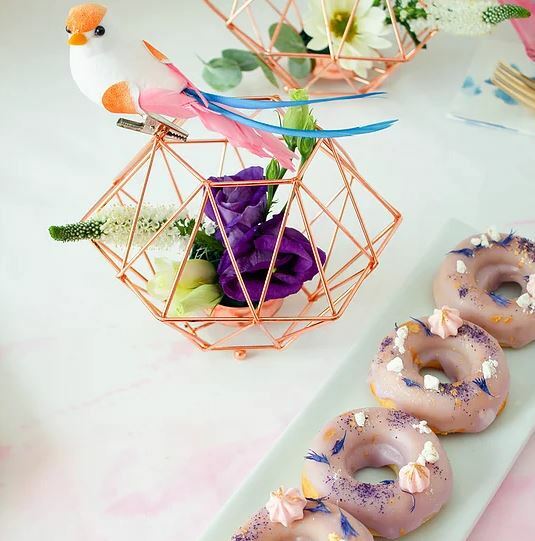 This DIY hack is super fun and so easy to follow! 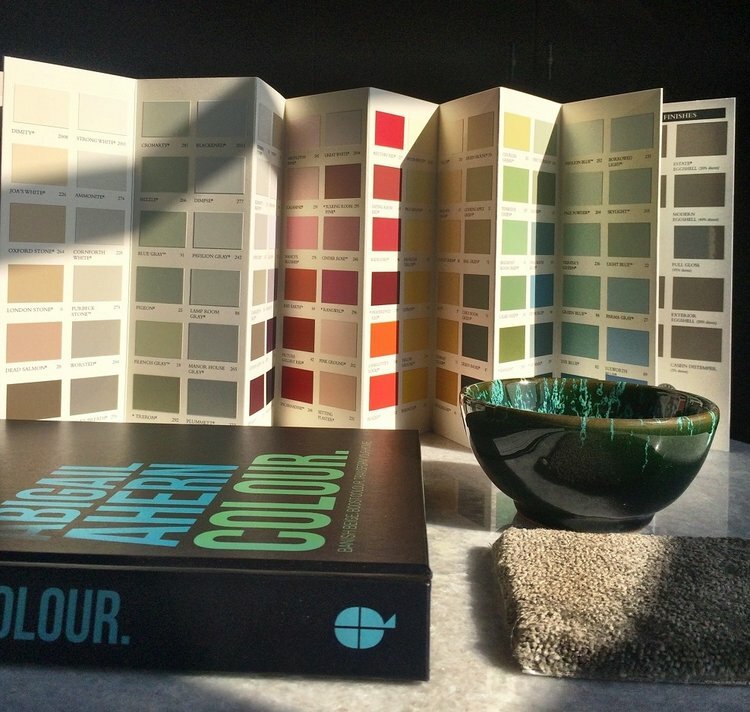 Picking a colour scheme can be such a difficult task with literally thousands of shades to choose from. But fear not, The Bold Place have put together some useful tips for picking a colour scheme when you’re totally stuck. If you’re looking for some last-minute inspiration for a fall inspired interior, you’ve come to the right place. 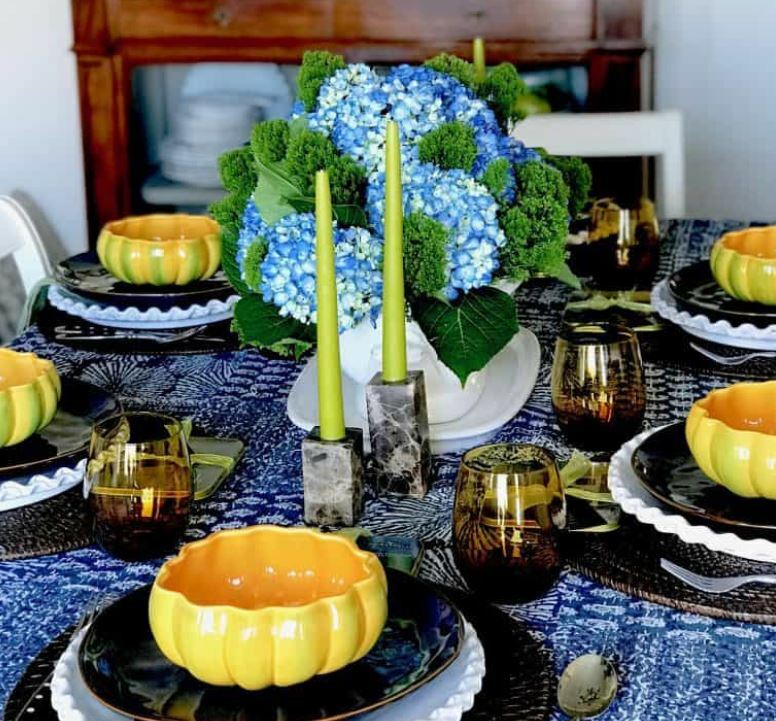 Classic Casual Home has teamed up with Jane at Home to share their fall decor ideas. 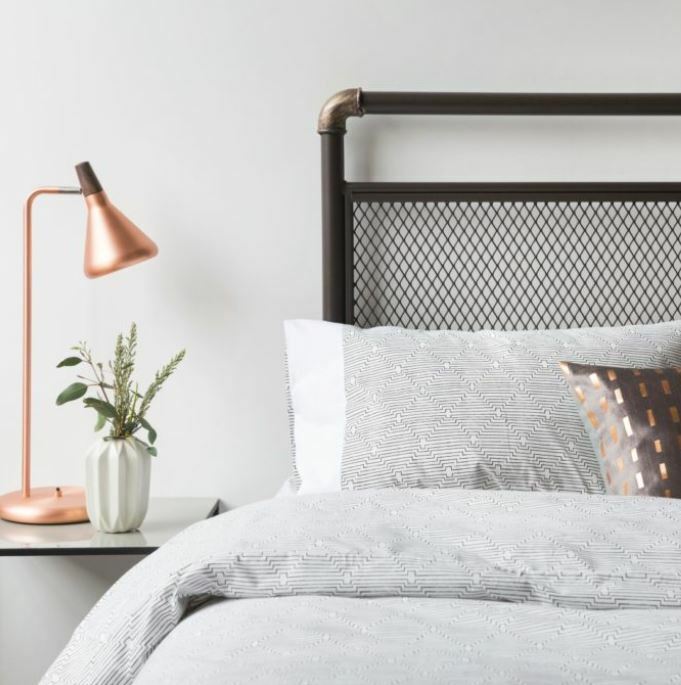 Wanting to steer away from turtles, superheroes and firemen, Design Soda have created a beautifully simple Scandinavian bedroom. 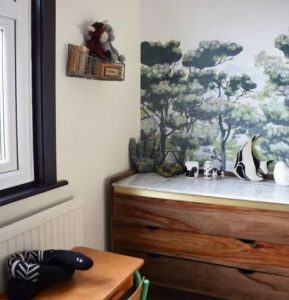 From the furniture to the wallpaper, we love everything about it! As the nights get colder, now is the perfect time to snuggle down in front of a fire with a soft fleece blanket. So, why not get creative and make one yourself? 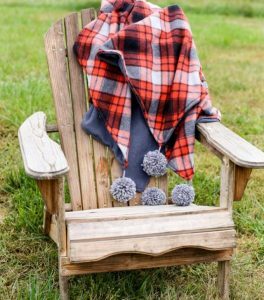 Read all about how you can create your own cosy plaid fleece blanket complete with pom poms! 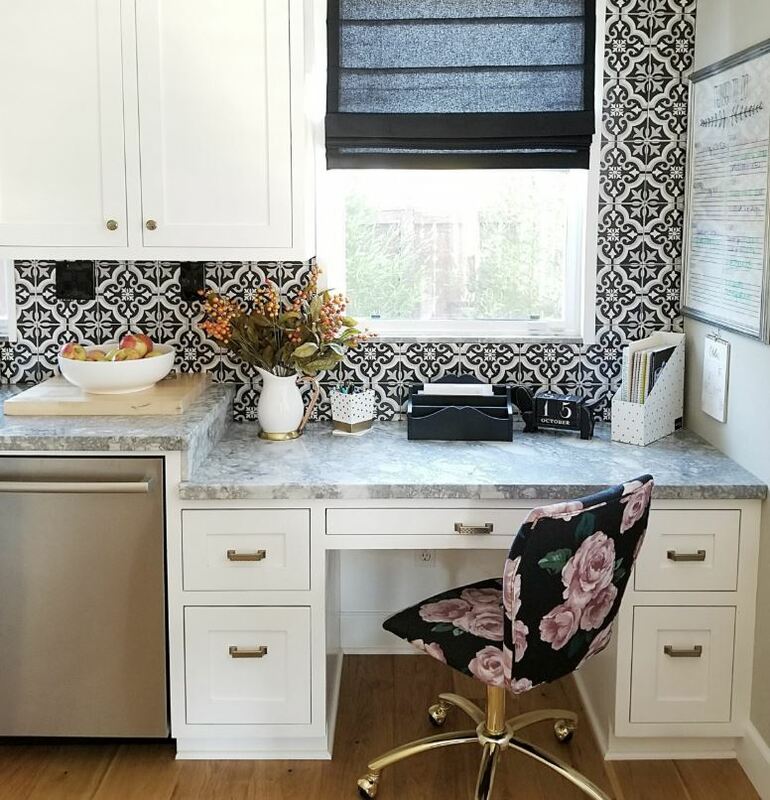 Using a beautiful mural as the focal point, Eclectic Twist have transformed their home office into the office of our dreams. Complete with a navy ceiling and striking chandelier, you won’t believe the transformation! Leather can begin to look tired after years of daily wear and tear, but it doesn’t have to be that way! 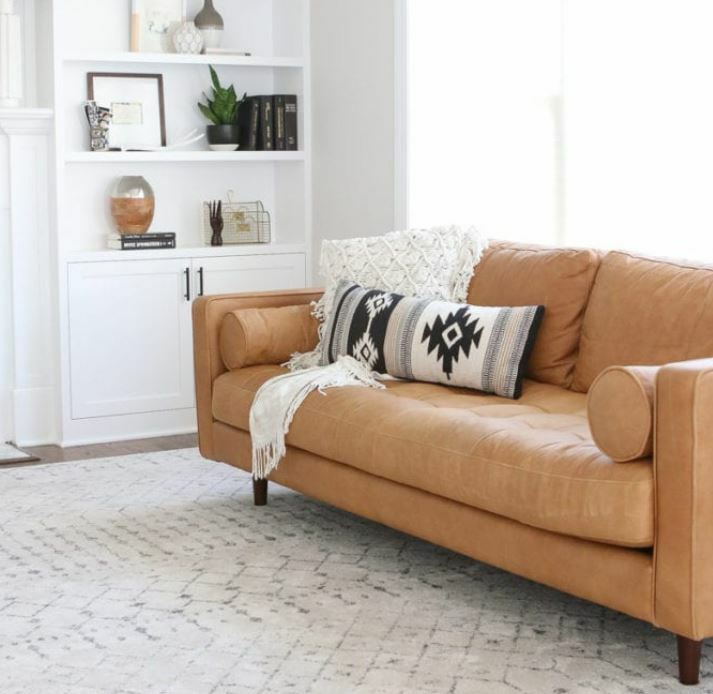 The DIY Playbook share their handy tips and tricks on how you can get your leather furniture looking like new again. Painting is messy business. There’s so much equipment to get out and when you’re working in a small room, it makes things very difficult. Read all about how you can avoid the mess and paint a small room with ease. With many of us already dreaming of warmer climates, Stephanie from Life at 139A has got ahead of the game and prepared her conservatory for summer. 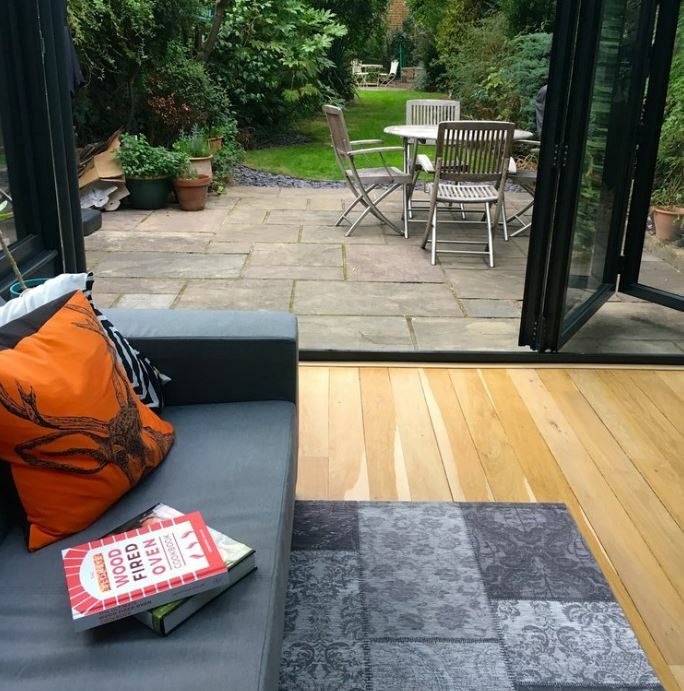 By simply replacing her existing doors with bi-fold doors, Stephanie has completely transformed her conservatory. 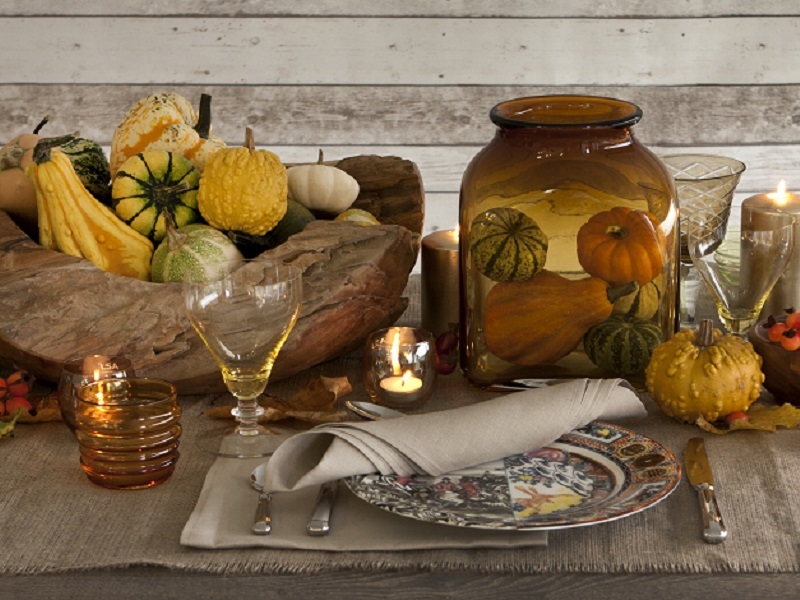 Following on from Classic Casual Home’s blog, Jane at Home shares her fall inspired decor. From wreaths to pumpkins and floral centrepieces, you can easily recreate these looks in your own home. 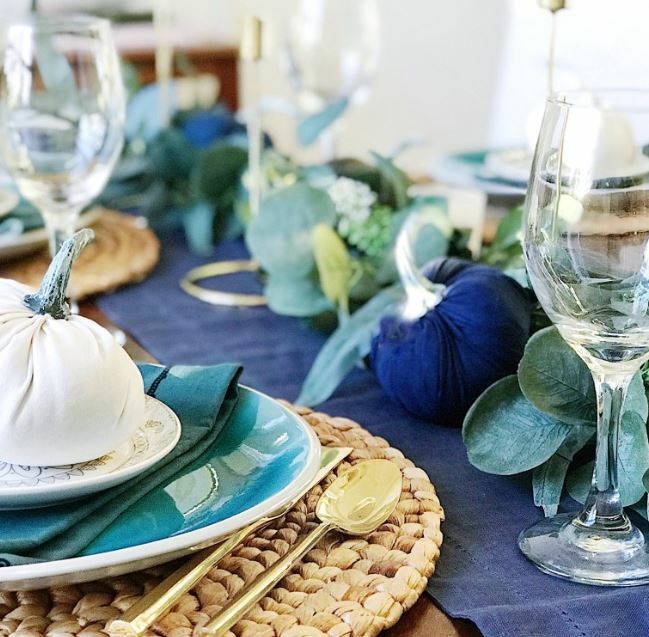 Taking it back to basics, Most Lovely Things has created a beautiful fall tablescape with a simple linen table cloth, some magical string lights and fresh dahlias. 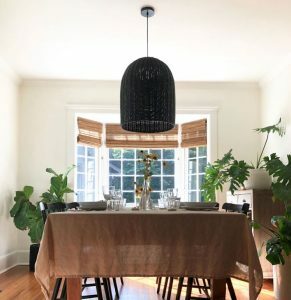 We love a room tour and seeing a design vision come to life. How amazing is this kitchen tour from House Becomes Home Interiors? 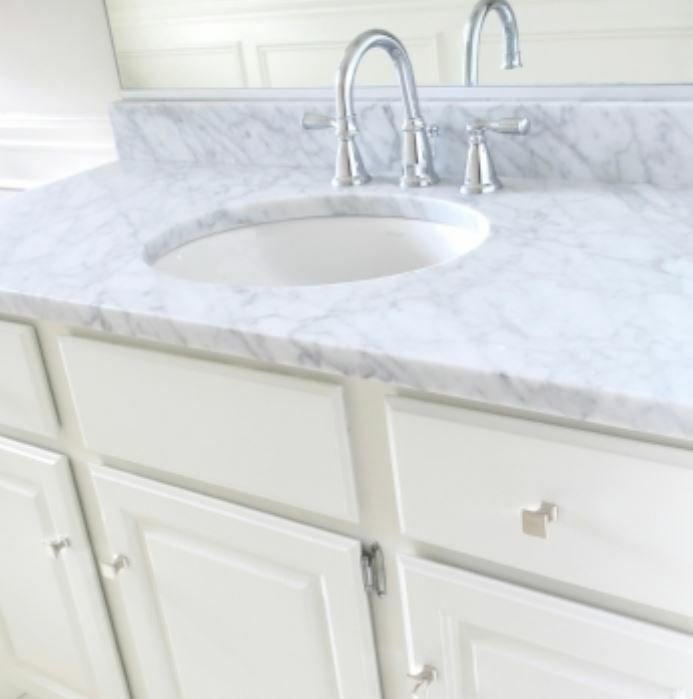 You won’t believe the before and after photos! 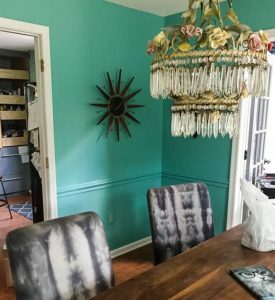 Another makeover we loved this month was from The Phase Three Home. By simply replacing the sink, taps and worktops, they’ve totally refreshed their bathroom into a soothing sanctuary. Halloween doesn’t have to be expensive! 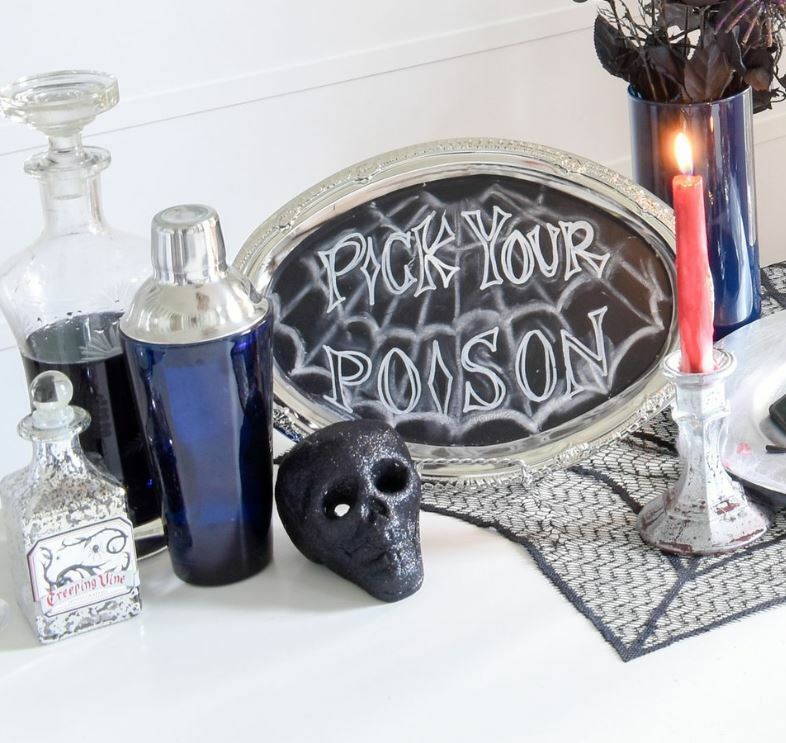 Keep it cheap by shopping at the dollar store and get creative with your gothic decor. 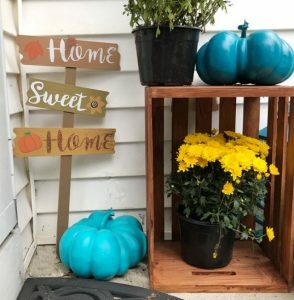 DIY has never looked so easy! 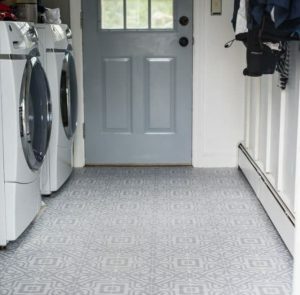 Image courtesy of Simple Home. Simple Life. 16. How to Personalise your Office but Still be Professional – Simple Home. Simple Life. 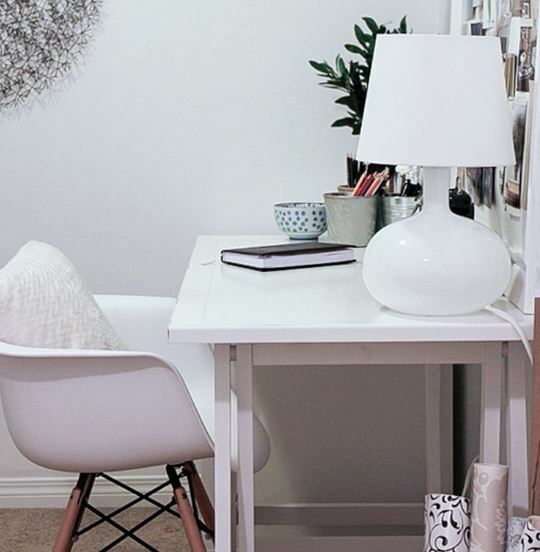 Your home office should be a place that inspires and motivates you. Simple Home. Simple Life. have come up with eight simple tips on how you can add personality to your home office whilst keeping it professional. 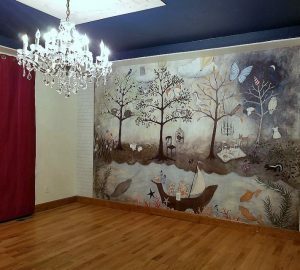 Welcome in the new season with a little interior update. The LuxPad have all the lighting inspiration you need to create a warm and cosy atmosphere that you just can’t wait to come home to. 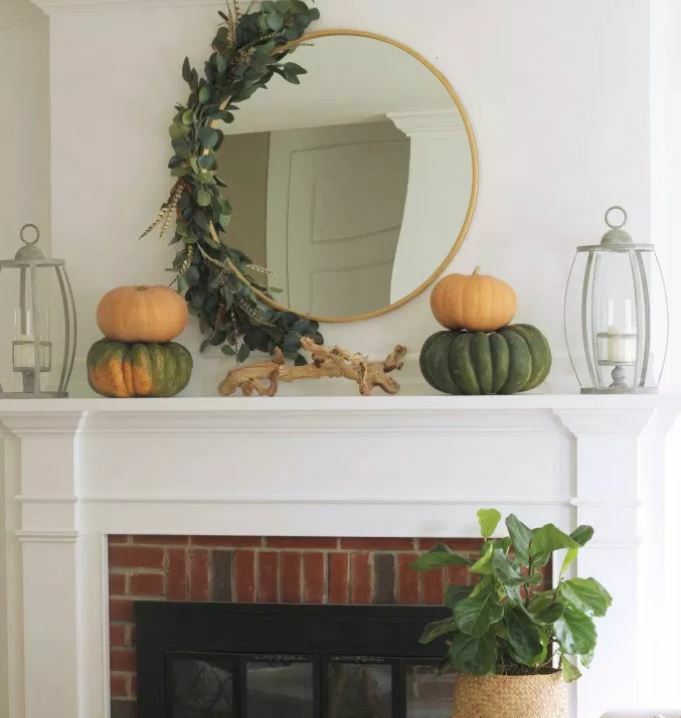 If you’re looking to get creative with your fall decor, we have the DIY tutorial for you. We love this unique idea of creating a luscious, leafy wreath to trail around a mirror. Such a simple yet effective update for the holiday season. If your flooring is looking a little tired and old, you need to see this dramatic transformation from Jenna Kate at Home. These vinyl peel and stick Moroccan tiles are an absolute dream and who knew they’d be so easy to install? So many lovely posts to enjoy. Thanks for including mine!